Meet Fran Hauser, This Week’s Guest Curator! This week’s guest curator is . . . Fran Hauser! Fran is a long-time media executive, startup investor, and best-selling author of The Myth of the Nice Girl. When we first learned about Fran and her work, we felt a deep inner knowing that she would be a part of Womaze. We were so taken by how she’s a total badass in business, while being incredibly kind, compassionate, and empathetic. We couldn’t be more honored to have her as a part of our Womaze Advisory Board. 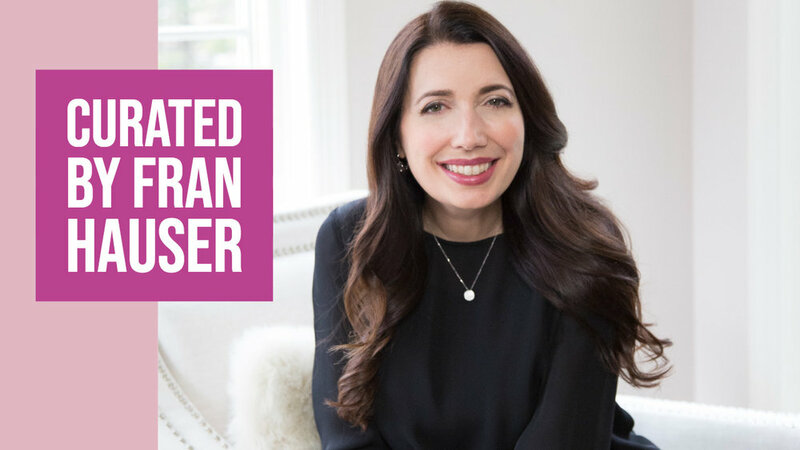 Not only are we inspired by her professional accomplishments (Fran helped build PEOPLE.com and has funded and advised companies such as The Wing, HelloGiggles, and Mogul), we’re even more moved by the fact that she’s achieved all of this while staying true to herself. Fran is a fierce supporter of women (18 of the 20 companies in her portfolio are founded by women) and she’s committed to increasing the representation of female founders. Her best-selling book The Myth of the Nice Girl is a MUST read if you want tools for creating a “career you love without becoming a person you hate.” It deconstructs the negative perception of "niceness" that many women struggle with in the business world, and helps women take their careers to the next level. (You can order the book here!). We’re so excited to have Fran guest curate this week, and hope you feel just as inspired as we do! Older PostMeet Artist Jyotirmayee Patra!